Have fun Storming the Fantasy League Power Rankings! Storm continues her upward trend in the recent weeks and surpasses her other X-Ladies in the overall scores for the year. She now sits in sixth place with Kitty Pryde and Rogue following her in seventh and eighth place. Her 14 points in the last week of September earns her her fourth Hero of the Week title which ties her with Ms. Marvel for the second most on the year. 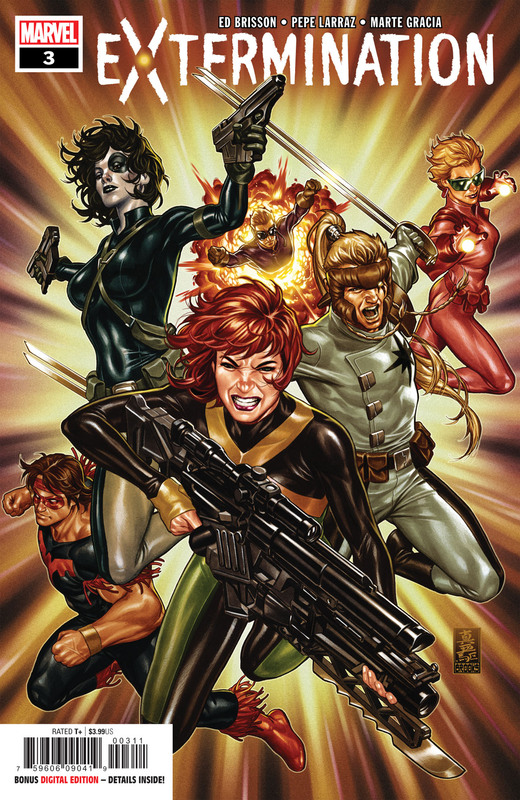 Hot on her heals is another rising star among the maiden mutants, Domino. With her Annual earning her nine of her 12 points, Domino lucks into second place for the week. Both characters get support from their roles in the book of the week, Extermination. The latest chapter of the X-Men event features 34 points spread out between 12 drafted heroes, but no character is as important as young Jean Grey. Marvel Girl brings in 10 points when she joins Domino’s hit squad in their search for Cable. Spider-Man continues his longest streak of the year without topping the charts and settles for a tie for third with Marvel Girl despite having three big titles drop for him. A week before his movie drops, Venom ends his weekly miniseries First Host. He loses his symbiote offspring and ties for fifth with Luke Cage, another famous father figure in the Marvel Universe. Luke scores eight points while appearing in his wife’s digital exclusive series and popping up in Punisher at the behest of Nick Fury. The older Jean Grey finds her way into seventh place. She scores seven points along with Ben Reilly, Scarlet Spider, another character unfamiliar with the top tiers. A five-way tie rounds out the top performances. Young Boy Cyclops, Old Man Logan and Fuzzy Elf Nightcrawler all show up in Extermination but Logan and Kurt are not themselves. They join Ahab’s ranks of Hounds and turn on their teammates. Deadpool and Iron Man are the other two characters to score six points and tie for ninth place to end the month of September.